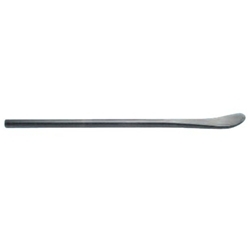 Tire Mount / Demount Curved Spoon Length 30" Stock 7/8" Ken Tool T39 / BOWES KT T39. These tools are designed for fast and efficient tire changing. Use the 18" and 24" spoons to mount or demount passenger car, motorcycle, ATV, and light truck tires. The 30" spoons provide enough strength and leverage to work on large truck, bus, off-road vehicle, tractor, and aircraft tires.